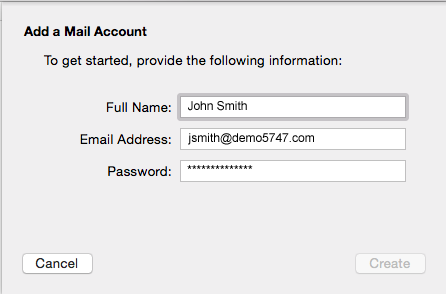 Before you can configure email software to send and receive email from our servers, you must create an email account in your control panel. 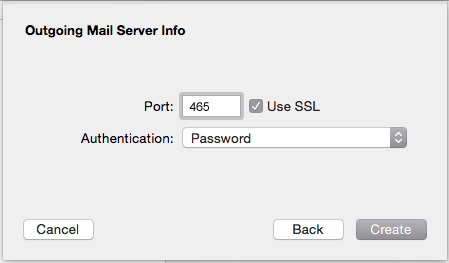 Once you have done this, you can configure your Apple Mail to connect to the email account you created on our servers. 3. 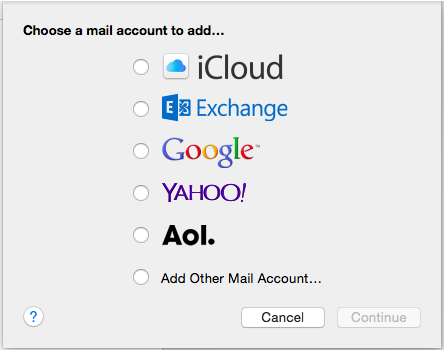 Select the radio button next to ‘Add Other Mail Account’ and click continue. 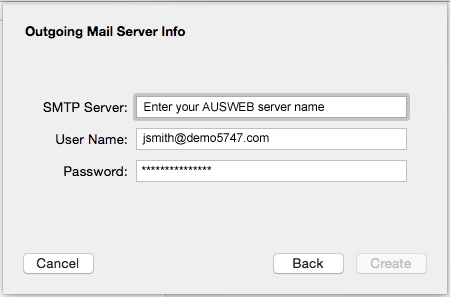 Mail server: Enter the full name of the server that hosts your account. This is located in your in your welcome email , titled “New Hosting Account Information” . Select the Use SSL tick box. 9. 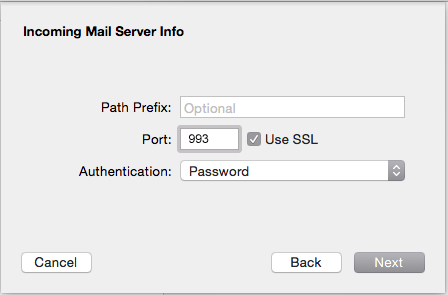 Click Next, you will be then asked to enter in your outgoing mail server details. 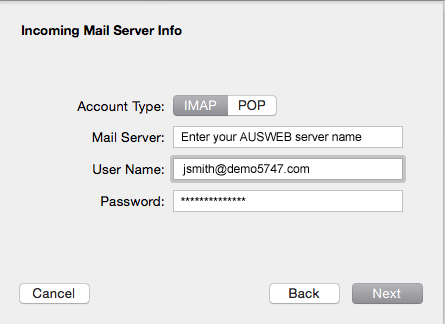 SMTP server: Enter the full name of the server that hosts your account. This is located in your in your welcome email , titled “New Hosting Account Information” . 11. You will now be asked to provide additional information about the incoming mail server. Note: Be sure that your computer’s firewall or anti virus software is not blocking these ports as this can cause the ports to not work properly. It is not always necessary to use your Internet Service Provider’s settings, but if you cannot send from port 465, then we suggest you contact your ISP and ask for their outgoing mail server name. 13. Close the Mail application and re-open it. You are email is now setup, we recommending testing it by sending yourself an email. There have been issues with the latest update to Apple Mail program, Yosemite, which is causing issues with customer accounts, resulting in the program itself breaking or locking users out.